Your dental health is about much more than having clean, attractive teeth and fresh breath. Compromised oral health can lead to severe health consequences throughout the body including increased risk of heart disease and liver problems. Protect your body by protecting your dental health with us. As a family owned and operated business, we understand the importance of caring for your family’s health and comfort. 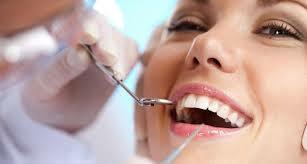 Rest assured our caring, nurturing, and efficient office is dedicated to making dental care a comfortable experience. Your gums support and protect your teeth. If they become irritated or infected, you could suffer serious consequences including bleeding, tooth loss, infections throughout the body, and pain. Trust us to provide extensive, non-surgical gum care to protect the health of your gums, including deep cleaning and planing.